Teesta River at Kalimpong has become one of the most popular hotspots of River Rafting in eastern India. It starts from Beni, the confluence of rivers Teesta and Rangeet provides the major base of rafting. 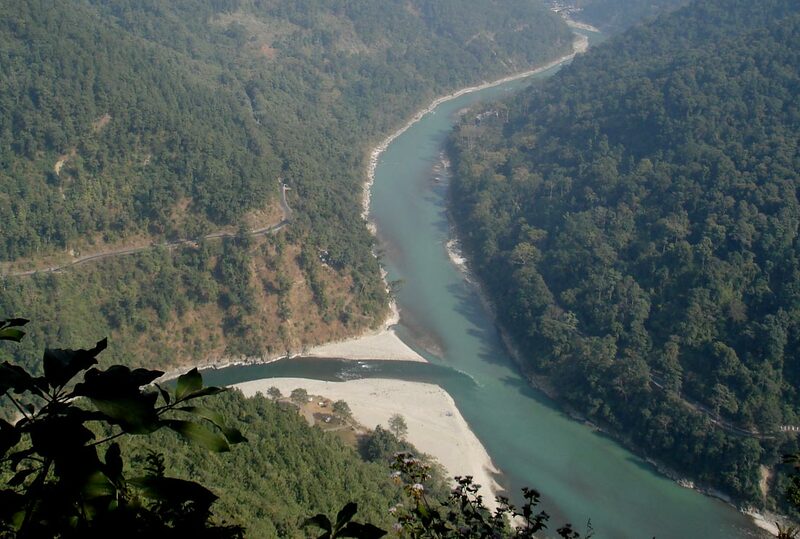 Teesta Rivers being the main river rafting routes are virtually inaccessible during the winters. The Teesta is one of the few rivers where river rafting is confined to the winter months, between October and April. GRADE 1: Easy and small waves. GRADE 2: Moderate difficulty with clear passages. GRADE 3: Difficult, high irregular waves, narrow passages – require precise maneuvering. GRADE 4: Difficult with powerful waves. Very precise maneuvering required. GRADE 5: Extremely difficult, violent and highly congested. Clients are requested to sign the assumption of risk and release bond before the trip. All foreign clients have to carry their passport and visa, which will be registered at the Teesta Bridge & Rangpo. Alcohol is not permitted at least 6 hours prior to the river trip. Age limit is 8 years except the float trips where it is relaxed to 5 years. Non swimmers are welcome; you may be restricted to certain section of the river, on the advice of the river guide or trip leader. Extra pair of sneakers, sandals and shoes. Sun cap and sun glasses. Half pants, T-shirts and Swim Suit. Sun tan / Sun block lotion. With its exceptional amenities, the Bellus Hotel meets the needs of every holidayers and business guest, while our friendly and professional staff guarantees nice service. Copyright © 2019 Hotel Bellus. All Right Reserved.